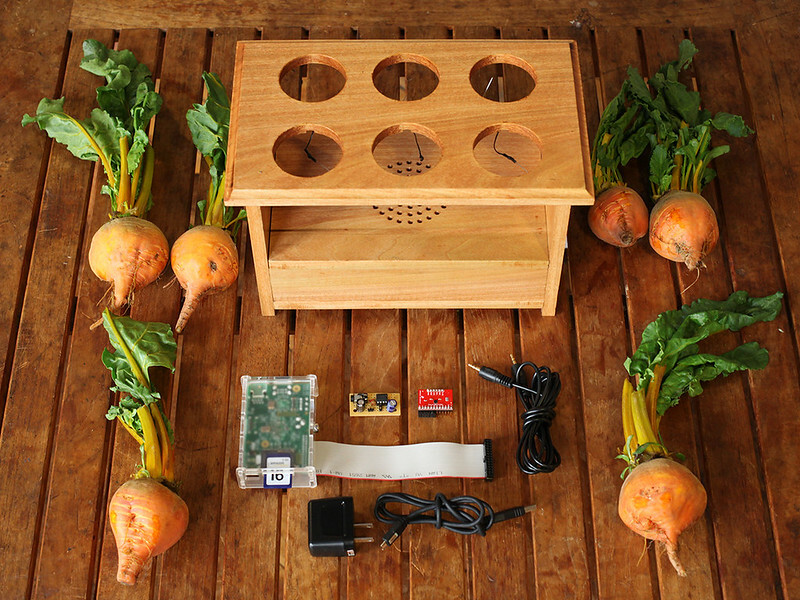 The BeetBox is a simple instrument that allows users to play drum beats by touching actual beets. 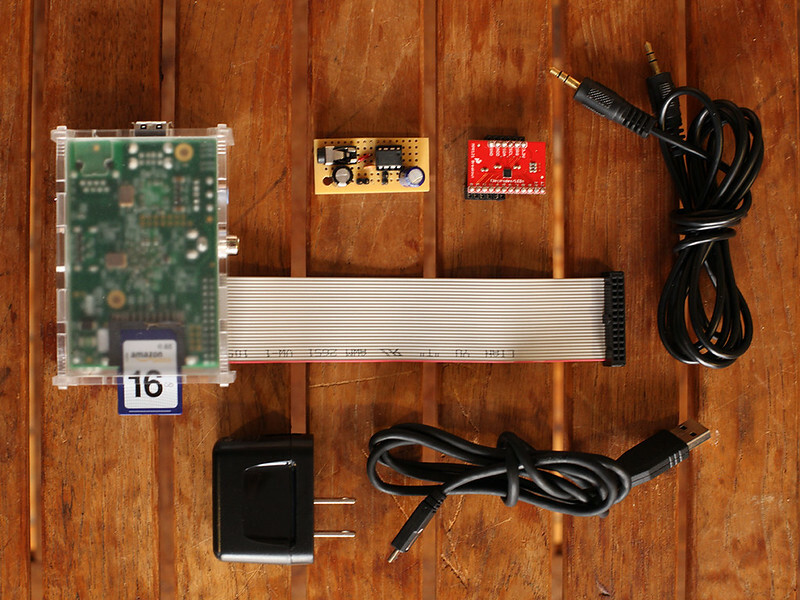 It is powered by a Raspberry Pi with a capacitive touch sensor and an audio amplifier in a handmade wooden enclosure. 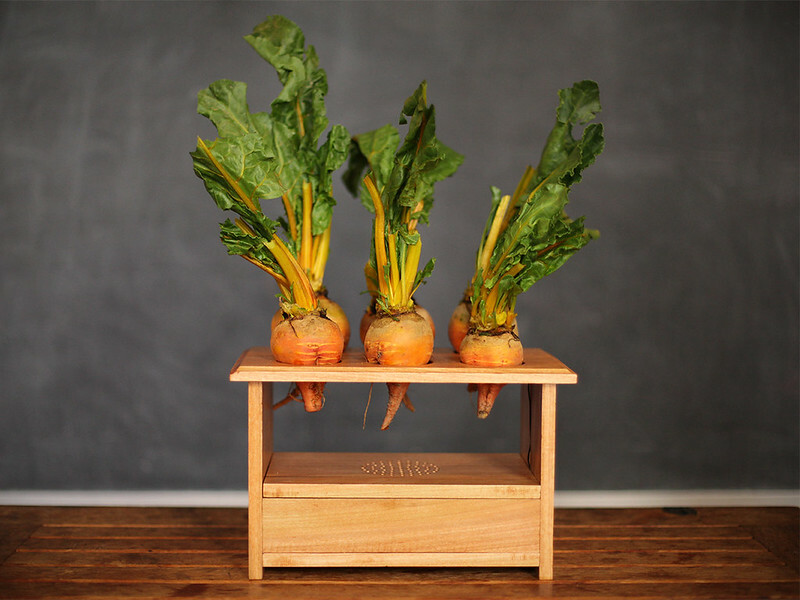 The BeetBox is primarily an exploration of perspective and expectations. I’m particularly interested in creating complex technical interactions in which the technology is invisible—both in the sense that the interaction is extremely simple and in the literal sense that no electronic components can be seen. Source code and instructions for the BeetBox are viewable on GitHub. Working with a Raspberry Pi can be a little daunting for beginners, so I might recommended getting started with an Arduino or, easiest of all, a MaKey MaKey. Need supplies? I’ve put together a list of recommended tools and parts! The “brain” of the Beetbox is a Raspberry Pi. This kit might save you some trouble with accessories. This is the touch sensor I used in the Beetbox. Another alternative for detecting touch is to use an Arduino. A Makey Makey is an easier way to build touch-based projects. A nice soldering station is a good investment. The enclosure was created from .5″x8″ poplar boards, which I cut to size and finished using various hand and power tools. I used a router for both the edge details and for grooves in which to conceal the wires, and a drill press to create the speaker grill and to bore holes for the beets with a hole saw. I then stained the wood and, after assembly with wood glue and a nail gun, sealed the enclosure with polyurethane. Touch sensing is handled by an MPR121 Capacitive Touch Sensor from SparkFun, for which I ported existing Arduino code to Python. This board communicates with a Python script on a Raspberry Pi via I2C. The script watches for new touches and triggers drum samples using pygame. Audio from the Pi’s line out is run through a small amplifier I built using an LM386, which is based on a circuit straight from the data sheet. The amp is connected to a salvaged speaker mounted under the holes in the lid. Many thanks to the performers in the video, each of whom I dragged away from their final projects to touch vegetables on camera: Patricia Zablah, DD Jiang, Merche Blasco, Andy Sigler, Zhenzhen Qi and Robbie Tilton. This piece served both as a project for Catarina Mota‘s Tech Crafts, for which I was experimenting with edible circuits, and as a final for Peter Menderson’s Materials and Building Strategies, for which I wanted to craft a nice hardwood enclosure. Many thanks to both instructors for excellent classes.